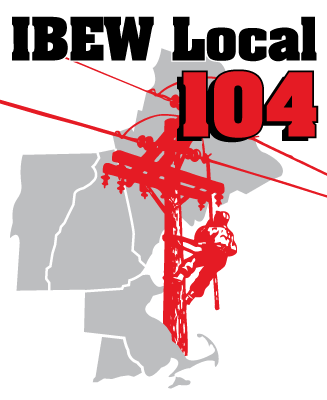 Barrington, NH – The International Brotherhood of Electrical Workers Local 104 today endorsed the re-election of Governor Chris Sununu citing his focus on creating jobs, championing job training programs and supporting first responders. Murphy said NH electrical lineworkers are first responders to many natural disasters, storm outages and other emergency events, and, when those situations arise, it is critical that lineworkers have confidence in state government leaders. In addition to storm response and emergency events, the men and women of IBEW Local 104 are responsible for maintaining New Hampshire’s existing electric distribution and transmission grid, and building and upgrading new electrical infrastructure. IBEW is the premier electrical training organization in the country and New Hampshire, and Murphy said Sununu and his administration have been a great partner in an electrical worker training program recently developed at the Manchester Community College. The training partnership between Manchester Community College, Eversource, National Electrical Contractors Association and the IBEW offers students the opportunity to earn a college degree while also receiving the necessary training to qualify as a lineworker apprentice. It marks the first time in over 35 years that IBEW Local 104 has endorsed a Republican candidate for governor of New Hampshire. The last Republican gubernatorial candidate to receive IBEW’s endorsement was former Governor John H. Sununu in the early 1980s. More information can be found at www.ibew104.org.